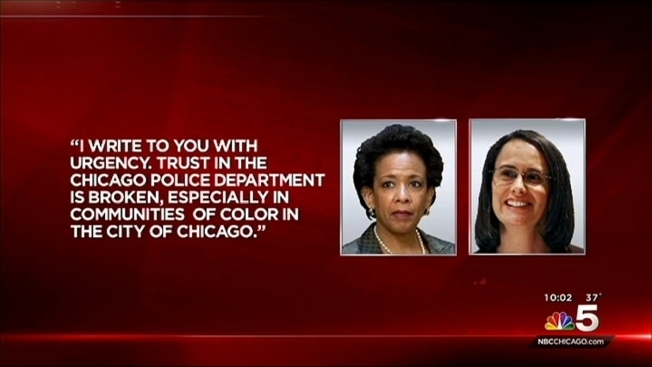 Illinois Attorney General Lisa Madigan on Tuesday asked the U.S. Department of Justice’s Civil Rights Division to investigate the Chicago Police Department’s practices to determine whether they violated the Constitution and federal law. In a letter to U.S. Attorney General Loretta Lynch, Madigan asked for an investigation into the department’s use of force, including deadly force, as well as the adequacy of its review and investigation into officers’ use of force and allegations of misconduct. She also cited the department’s training, equipment and supervision of officers and whether a pattern or practice of discriminatory policing exists. The Chicago Urban League also called for the division to investigate the department, specifically calling for an investigation into the circumstances surrounding the October 2014 shooting of 17-year-old Laquan McDonald. They called into question whether the department, the mayor and Cook County State's Attorney Anita Alvarez "engaged in a pattern or practice of civil rights violations" in the case. Earlier Tuesday, Mayor Rahm Emanuel announced the firing of Chicago Police Supt. Garry McCarthy, saying he had "become an issue, rather than dealing with the issue." The news comes one week after officials released dash-cam video showing the fatal police-involved shooting of 17-year-old McDonald. McDonald was shot 16 times by an officer last year and his death has prompted a series of protests throughout Chicago. Police have said the shooting was in self-defense, but dash-cam video appeared to show McDonald, who officials say was armed with a knife, walking away from officers when he was shot.